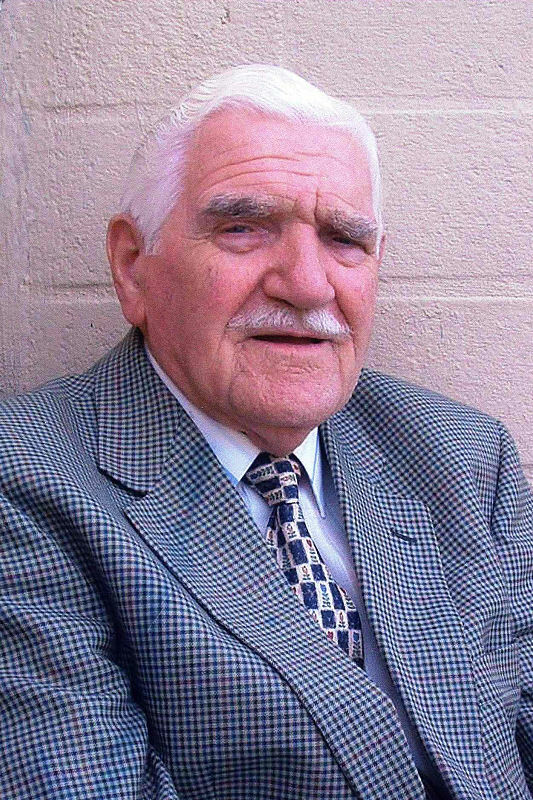 “A gentleman by nature and also by appearance.” That was how Rev Alistair Morrison described Maybole’s Cooper Hay, 90, at his recent funeral service. Rev Morrison described how Cooper was part of a large family now only survived by his brother Billy. He had grown up in Coylton and went to primary school there. The family moved to Maybole when he was eight and Cooper finished his schooling at Carrick Academy before leaving at the age of 14. He had a number of jobs delivering milk and papers, working as a carrier and woodcutter with McBlane then with Kerr the plasterer. At the outbreak of World War II he was called up to the Royal Army Medical Corps where he served as a cook. Initially at a hospital in Bangor County Down before going overseas to Alexandria serving as part of the 8th Army. He won a month’s leave home when he met his future wife, May. Romance blossomed later when they met at a Maybole Town Hall dance. After the war Cooper returned to his work as a woodcutter and lorry driver with Alexander Jack, he also did some blacksmithing work and this led to his working life at Scottish Aviation as a maintenance blacksmith where he remained until his retirement just before he was 65. Away from work he had many interests, along with his father and brother he kept pigeons, under the name Hay Brothers; Cooper was involved for many years having been made a lifelong member of the pigeon club. Similarly he was made an honorary member of Maybole Bowling Club. He liked football, going to see Celtic play in the 1960s and later supporting Rangers on TV. Cooper was a Past Master of the Lodge St. John No. 11 and was Almoner for many years. He was Honorary Jeweller to the Grand Lodge of Scotland. In 1999 he was presented with a Scroll of Appreciation from Maybole Community for his services to the town. Rev Morrison commented that Cooper could turn his hands to many things, including washing dishes at Cancer Research Coffee mornings for which he received a badge. “A gentleman by nature and also by appearance he was always well turned out with collar and tie,” he added. The minister continued, “He will be missed most as a husband and dad; in a few months time Cooper and May would have celebrated their Diamond Wedding Anniversary. He was very proud of their son Stuart and Maureen his daughter-in-law. “Recent times had more or less confined Cooper to the house but I know that May and the family were very grateful to the carers who came to look after Cooper. “We give thanks to God for Cooper’s life and faith, he and May having been members of Maybole Old and then Maybole Parish Church. “In recent times he was not able to attend but I had the privilege of sharing Communion with Cooper and May in their home a few months ago.